I am the Associate Director of International Admissions in our office, recruiting primarily in China and parts of Long Island. I graduated from Rochester in 2011, majoring in both chemical engineering and Chinese. I hope to answer questions we get from students all around the world, while also sharing a few of my own travel adventures! What is the minimum score required for admission to the University of Rochester? No matter the test, students often believe they will not even be considered unless they pass a threshold score. This is definitely not true at Rochester, where we use a holistic review process and take everything in your application under consideration. Does this mean you can do poorly on all your tests and still be admitted? Usually no—we do take applicants’ stories and circumstances into consideration when looking at scores, but we can tell if a student is not trying or is not prepared to succeed academically at Rochester. This is done by looking at a much more important part of your application: your high school transcript. I have a score of  on test [XYZ]. What are my chances of admission? This is a variation on the previous question. Since we do not have cutoff scores, there must at least be a correlation between scores and admission chances, right? Nope. Every type of standardized exam, from the SAT to IB exams, was developed to offer educators and universities a way to see where students stand relative to a standard baseline. This is nice in theory, but in the end, scores can only tell us how well you have prepared for that specific exam. A holistic review process allows us to see a student beyond just a number. Some students are poor test takers but great learners in the classroom environment, or vice versa. Remember that test scores are used as only one part of your application in conjunction with all the other elements you submit. Do you prefer the ACT or the SAT? This question gets even more complicated with our test-flexible policy—we do not have any preference for a particular test! Different tests evaluate and tell us different things. Send the exam scores you prefer and feel are your best. You can send a single type or multiple tests. 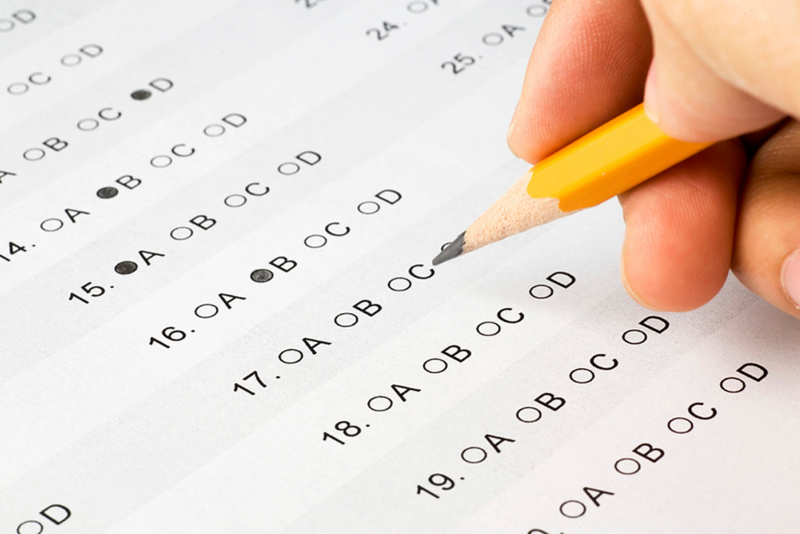 Remember that you do not need to stack up dozens of different exams to make yourself look better; we are not trying to build a class of obsessive test takers. To see what kind of tests fulfill Rochester’s test-flexible policy, visit our Testing Policy page. Should I take a test again to score X more points? If you have taken any test twice and scored roughly the same amount, chances are that repeating it will not dramatically increase your score. If you want an idea of whether your scores might be competitive for a university, check the middle 50% score ranges that they publish. If a score already falls within the mid-50% (or slightly below or above), then spending another month of preparation and a weekend in a test room to squeeze out a few additional points will not make any difference to your application. Instead of repeating tests, your time is much better spent doing other things to improve your application: work on your essay, research universities that are the right fit for you, or complete interviews for the schools you are applying to! I just spent my entire summer preparing for my standardized tests. Though this is not a question, it is something I often hear from students, which disappoints me. It is important to spend some time understanding the tests you are about to take and brush up on weak spots, but it is just as important to do things you enjoy and explore areas you think are interesting. Volunteer somewhere. Find an internship. Have fun—it is your vacation! Focusing on personal development and growth is very important when applying to colleges in the US, because it will help admissions offices see that you take advantage of opportunities to find your passion. High school and college years are about exploration; if you understand what you love (and what you hate) to do, you will be able to show the admissions committee a much more interesting picture of yourself. No matter what, test time will always be stressful for many applicants. Do your best and take your test of choice a couple times if you want, but there is no need to allow that stress to persist after you have taken the exam. As long as you put in the same earnest effort you would with your schoolwork, it will pay off in the end! Thank you @Isthier for this wonderful insight. This is just like a frequently asked questions about the admission process. You have thrown more light on the admission requirements as regards to Rochester University. The article is quite informative and relevant for prospective students. I want to ask, are waivers or special consideration applicable to international student applicants or there more stringent requirements? What a great post!! But what about if I am international and apply ED, and need a lot of aid, at that point will I need to score higher right? @ISTHEIR thanks for such an informative guide. Please, what are the criteria for an international student to apply?